Canada’s favourite political satirist/alleyway ranter was on campus earlier this month to learn about gambling, trees and levitating hockey pucks. 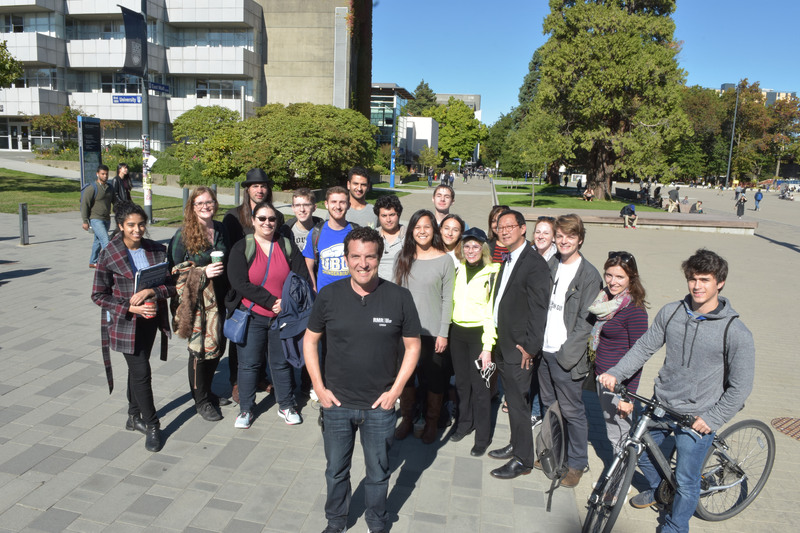 Rick Mercer said in an interview with The Ubyssey that he came to UBC to film a segment for the Rick Mercer Report that focused on science in a way that wasn't boring. He said he was trying to avoid the common problem that science journalists face when they try to communicate complex topics — they forget their audience, and the subject becomes dry. 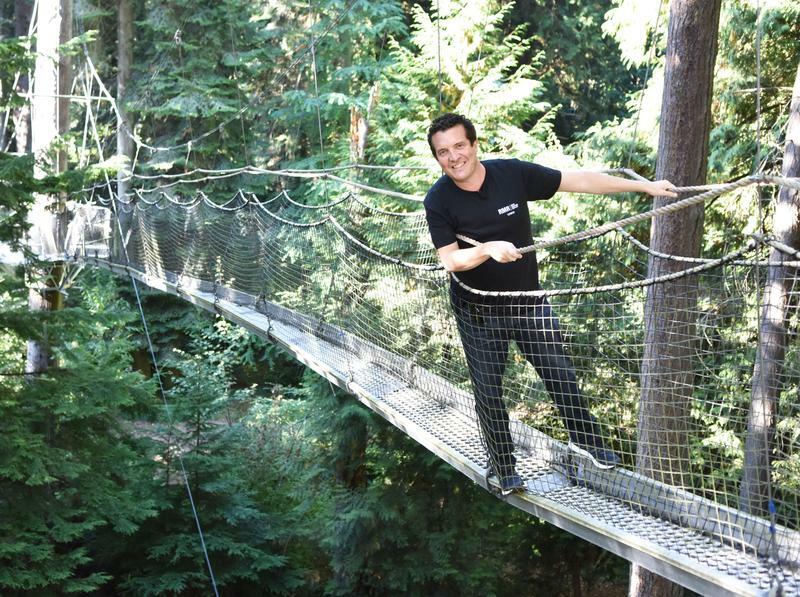 A good RMR segment, Mercer said, has both “beauty” — which he found at the Botanical Garden’s canopy walk — and a “wow factor” — which he got from scientists studying levitation at the Stewart Blusson Quantum Matter Institute. He visited the Centre for Gambling Research for fun. Mercer, who has an honourary degree from UBC, said he underestimated just how much of an effect the blinking electronic game machine would have on him. “I think I had a little bit of intellectual superiority going in,” he said, not being an avid gambler. But once he was hooked up with electrodes, science took over. “When I bet two dollars and won 50 cents, and the bells were going off you could see my pleasure centres spiking,” said Mercer. Mercer also checked out the Quantum Matter Institute, which studies things like “superconductivity, colossal magnetoresistance ... magnetism and ferroelectricity,” according to their website. “It was incredible,” he said, noting that, aside from the construction, the rest of campus is beautiful as well.